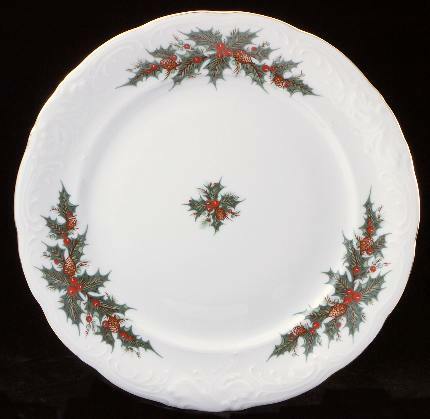 Fine china dinner plate made in Poland by Wawel. Make your tea set into a dinner set by adding these beautiful 10 in. dinner plates to your collection. Features the Christmas Berry pattern. Hand-painted with gold trim.